In South Russell Hall we have single, double, and triple rooms. 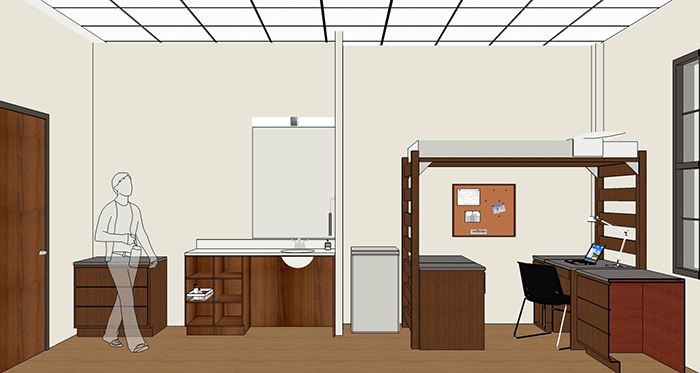 The beds are adjustable and can be lofted to any height on Move-In Day. All rooms have sinks and walk-in closets. 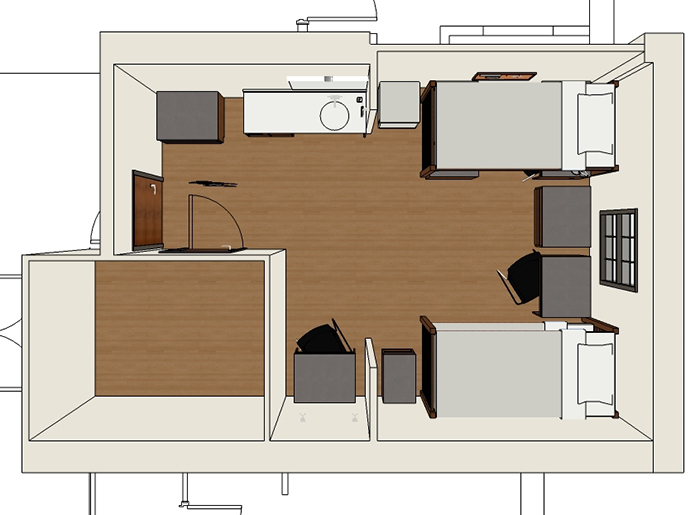 Each resident has a desk, 3-drawer dresser, and end table. For more information about rooms, visit Campus Living & Learning's website: www.baylor.edu/CLL.